I heard someone once say running long and slow teaches your body one thing, how to run long and slow. If that’s all you’re after, you can stop reading; I don’t want you to be late for your water aerobics class (lol, just kidding). 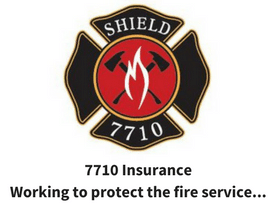 But, as a fire rescue athlete, you need to move quickly and with purpose. 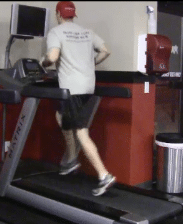 I’m not saying that long and slow cardio is totally worthless, I’m saying it has its place. In fact, I recommend performing a lower intensity, longer cardio workout at least once or twice a week to flush the muscles. But, what I am talking about here is training your body and your heart to function under higher intensity. 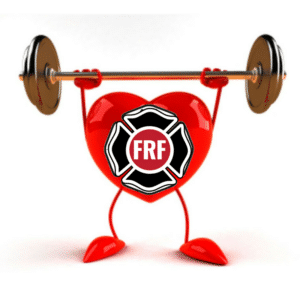 The purpose of any firefighter’s cardiovascular program should be to help them work more efficiently under the stresses encountered every day on the job, be it on the fire or rescue ground. I feel that interval training is a great way to do that. Intervals raise our maximal oxygen uptake (VO2 max), which, simply put, is the greatest amount of oxygen our bodies can use during maximum aerobic effort. 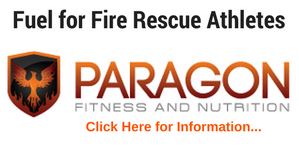 Firefighters who can work longer before they reach their VO2 max will be able to accomplish more on the fireground. Intervals also help the body to more efficiently flush muscles of lactic acid. We develop a build-up of lactic acid and hydrogen ions that are associated with the burning sensation we feel in our muscles when under heavy physical stress. It has been shown that trained individuals will clear lactate faster than those who aren’t trained and will therefore feel less pain when undergoing physical exertion. The bottom line: We want to build a cardiovascular training program that enables us to work longer and harder with less physical pain when it really counts and intervals are a great way to do that. Make sure you perform an active warm-up before beginning each workout. You will want to perform at least 4 different movements to prepare your body and heart for the workout. You can click here for more information about the active warm-up. Start with 10 minutes at whatever you consider a moderate exercise and pace (bike, stairs, run, walk). You should be able to talk in short bursts, but not carry on a normal conversation. As soon as the 10 minutes are up, move (increase speed or level) as fast and furiously as you can for 60 seconds. When the 60 seconds are up, drop your intensity down to a manageable pace (or level) for another 60 seconds, and then take off again. Do this five times. When you’re at your highest intensity level, you should be moving like somebody’s chasing you, as fast as you can. When your five sets are over, do another 10 minutes at your moderate pace. Make sure to stretch and foam roll following. Total workout time is 30- 35 minutes. ***Note that if the minute intervals are too difficult at first, drop the high intensity time to 30 seconds and gradually try to work up to 1 minute. 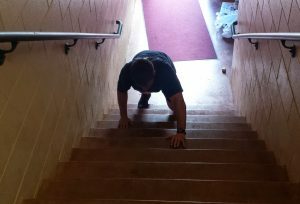 The Crew/ Fireground Interval workout day is a great way to incorporate different exercises to keep you interested and can be fun (yep, working out can be fun). You can set-up 6 different exercises and perform them 4 rounds, or 8 exercises for 3 rounds. When beginning these intervals, I would recommend starting with 30 seconds of work and 30 seconds of rest for each set. As your fitness levels progress you can decrease the rest and increase the work times. The exercises you choose will be based on what equipment you have available and personal preference. These exercises can be anything you want (fire ground related). Here are some examples: crawling, sledging, carries, rowing, dragging, pushing, pulling, any exercise that gets your heart going. We performed an active warm-up and foam rolled to prep for the workout and finished with one of the 4 minutes of foam rolling and stretching. The total workout time was a little over just 30 minutes (quick and easy). This is just an example, you can choose different exercises and change the times. Get creative and have fun with the workouts. I think this is a great way to get the entire crew working on their fitness. I hope these options help you get more fit for duty. If you create other cardio interval options, I would love to hear about it. 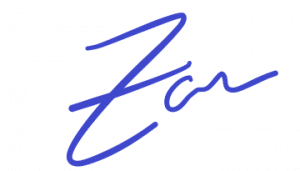 Please contact me and let me know your feedback. 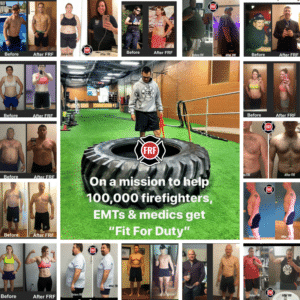 I am on a mission to help motivate and educate 100,000 firefighters, EMTs and medics get fit for duty. Let me know how I can help you! 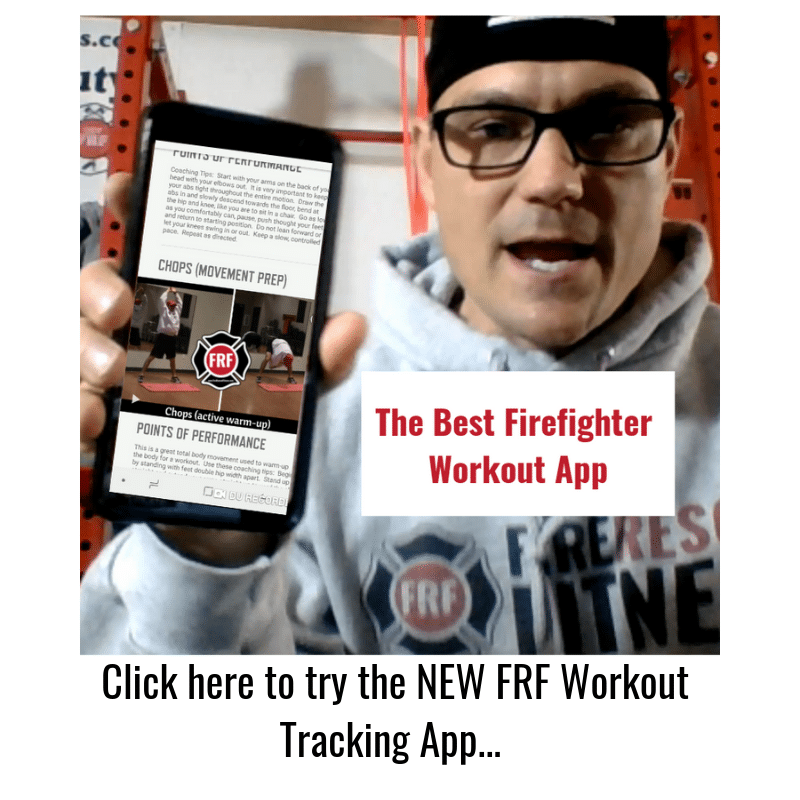 Click here to discover how you can increase your cardiovascular fitness, lean out, gain strength, improve your performance on (and off) the fireground.